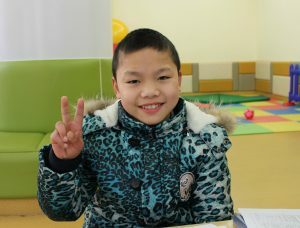 While China adoption programs once focused on placing healthy children with their forever families, the wait time for a healthy child has continued to grow causing China to become a Waiting Child program. 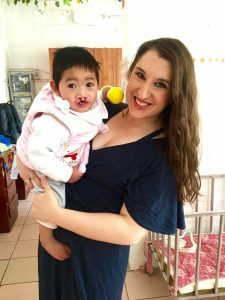 As such, it is relatively fast when compared to many other international adoption programs and it can be a great fit for families who are open to children with special needs. Often times, when families hear the term “special needs” they have a tendency to think of the more severe cases. In reality, the needs of our Waiting Children can vary greatly, falling anywhere on the spectrum from very mild, to more moderate or severe. Therefore, opening your adoption desires up to the possibility of a child with a minor or correctable need can greatly decrease the time frame of your adoption journey compared to that of healthy child programs. The first place to begin looking for your forever child would be our photo listing. Those children are exclusive to our agency for the time being. We actively advocate for those kiddos and counsel families we feel would be a good match. Once speaking with our matching team, we can also assess the children on the shared listings for families. Often times we receive children that never quite make it to the photo listing because we know our families, and what they are or could be open to. The well being of the children matter the most, but so do you. You will never be a number on a list or classified as anything other than a family longing for a child, and we will do our best to find you your forever child. If you are interested in speaking with our team to begin the process of finding and bringing home one of our waiting children, our International Adoption Consultants are anxiously awaiting to hear from you. They can be reached by email, info@gwca.org or by phone 512.323.9595. Call us today so we can begin searching NOW for your family.